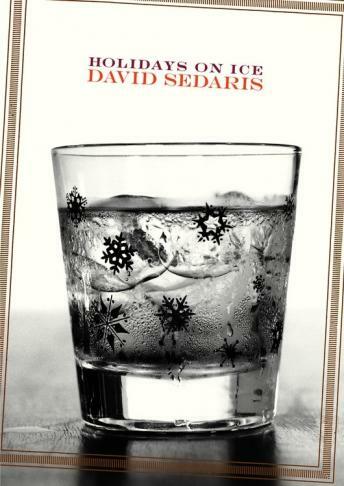 David Sedaris's beloved holiday collection is new again with six more pieces, including a never before published story. Along with such favorites as the diaries of a Macy's elf and the annals of two very competitive families, are Sedaris's tales of tardy trick-or-treaters ('Us and Them'); the difficulties of explaining the Easter Bunny to the French ('Jesus Shaves'); what to do when you've been locked out in a snowstorm ('Let It Snow'); the puzzling Christmas traditions of other nations ('Six to Eight Black Men'); what Halloween at the medical examiner's looks like ('The Monster Mash'); and a barnyard secret Santa scheme gone awry ('Cow and Turkey'). No matter what your favorite holiday, you won't want to miss celebrating it with the author who has been called 'one of the funniest writers alive' (Economist). This is the first David Sedaris book that I've read. A friend recommended it, and it certainly got some giggles out of me. My favorite story was "Six to Eight Black Men." Hilarious! There were some moments where I thought the humor was a bit insensitive given the subject matter (and I'm hard to offend! ), but otherwise, it was great. Very nicely read by the author. I'm looking forward to reading more of Sedaris's work.